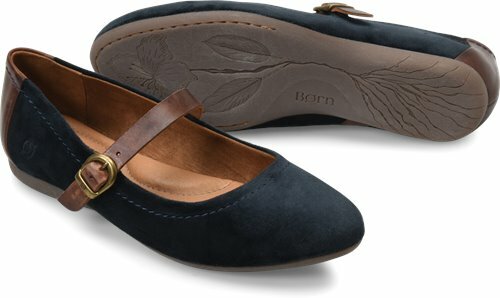 A beautiful Mary-Jane flat crafted from a combination of soft fabric and full-grain leather. I have very narrow feet so this shoe is perfect for my needs. It is hard to find flats with a strap. Shoe does run a little small and narrow so I would recommend sizing up a half.